Recent theology offers few attempts to come to grips with the meaning and implications of the ascension of Jesus. 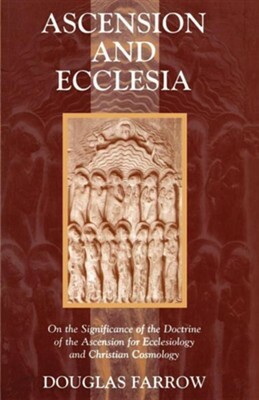 Ascension and Ecclesia promises to refocus attention on this crucial Christian doctrine.Farrow begins with a discussion of the biblical treatment of the ascension and eucharistic celebration, from which emerges a unique ecclesial worldview. Succeeding chapters explore the link between the ascension, cosmology, and ecclesiology and examine the difficulties faced by the doctrine of ascension in our modern scientific world. I'm the author/artist and I want to review Ascension and Ecclesia: On the Significance of the Doctrine of the Ascension for Ecclesiology and Christian Cosmology.